Scores returned to normal this week with the overall winner (Congrats Roogs!) taking it home with a 522, down from 602 scored last week at Southwick. The average score also returned to the baseline with a 240. Interestingly enough, this is up from the average score at Southwick. Going into this weekend I built my teams on mid handicap riders with double digit plate numbers. I was right for the most part in the 250’s, but off on the 450’s. Once again I chose a “take 60 approach which moved me up the leaderboard overall, but left me well behind the overall win. More on that later. This week’s winner, Roogs sent me a screen shot of his winning team on Twitter and there are some things to be learned from it. Lets dig in. Justin Cooper (7 All Star) 30% picked, 50 points. Not a ton of chalk in the 250 class this week, only four riders came in at about 30% pick trend. If you read last week’s column you might remember that it’s a great idea to look for mistakes in the handicaps and Ryan Sipes really jumped out at me as a big mistake. He was a fantastic pick at a 14 and it showed with a 39% pick trend. Same deal with Justin Cooper, who has consistently been in the top 5 all season. With his starts and a 7 handicap, he was an auto lock for me. Even less chalk in the 450 class, no surprise here with Jake Nichols, he was thoroughly discussed on this week’s shows and put in a great ride. I’m only surprised that he wasn’t higher owned. Carlen Gardner put up some great times in practice, qualifying 7th OA. He failed to bring that to the motos however, with 22p – 36p moto scores. Lots of low owned 250 riders delivering some nice scores. Kevin Moranz qualified 31st OA, but has finished in the top 25 for three straight weeks now. If his handicap stays at 18 or so, he is worth consideration. Our old friend Ramyller Alves also returned to the low owned – high score list, he has been a frequent mention in this section. 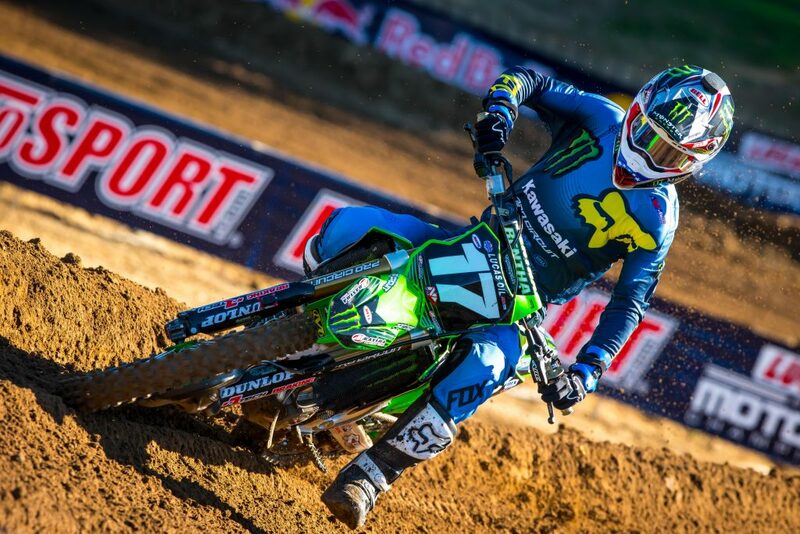 Ramyller never seems to qualify great, yet manages to hover in the low 20’s with his moto scores. Carson Brown qualified 29th and also put in top 25 moto results. He is another rookie worth monitoring here as he has finished top 25 OA in two of his first three races. I feel that all of us dropped the ball on Austin Root. I was on him at Muddy Creek and he delivered a great score. This week at an 18 he was a solid pick. Dakota Alix at an 8 paid off nicely. I didn’t think an 8 was juicy enough considering his past finishes at Red Bud, so I was off of him, as many of you were apparently. Note: he was on Roogs winning team though, so nice job Dakota! Another 0% rider sneaking through and scoring over 70 points! With Zack it’s easy to understand why he was low owned, he qualified 45th, and made it to the show by finishing 2nd in the LCQ. However, once in the show the Elko, MN native put in consistent top 20 moto scores, finishing 21P – 22p respectively. Zack has been around a while now and has put up some solid top 20 finishes; keep an eye on him going forward. Toshiki killed it this week and was the only 100-point scorer. He qualified in the low 20’s then went on to finish 15-14 respectively. After two bad weeks in a row this is a return to normal for him. I’m guessing that the injury scared a lot of people off of Justin Hill. He put in some solid rides; it will be interesting to see where his and Toshiki’s handicap lands for Millville. We already discussed Gardner’s bad moto finishes, interestingly enough, if you picked Jeremy Hand, who is a local and qualified one place ahead of Carlen, you probably had a good day as he played a big part in Roogs’ winning team with 72 points and only 18% ownership. I don’t usually list all stars here, as they won’t completely ruin your day, but a 12 from Eli is just bad. At worst he should’ve put up a 22 or so, as the first moto DNF was out of his control. Lorenzo saw a bounce in ownership after last weeks great ride at Southwick. He had an awful day, setting him up to be a possible great pick next week, as his handicap is likely to bounce back up. Finally, Team PC, ugh, I feel horrible for those guys. They need to have an séance or something. I hope it turns around for them soon, they deserve better. As we said, the high score was down from Southwick, returning to a more normal score of 522 for the win, with a 240 average. This week we had only two 250 All Star riders with a perfect score, Justin Cooper and Aaron Plessinger. 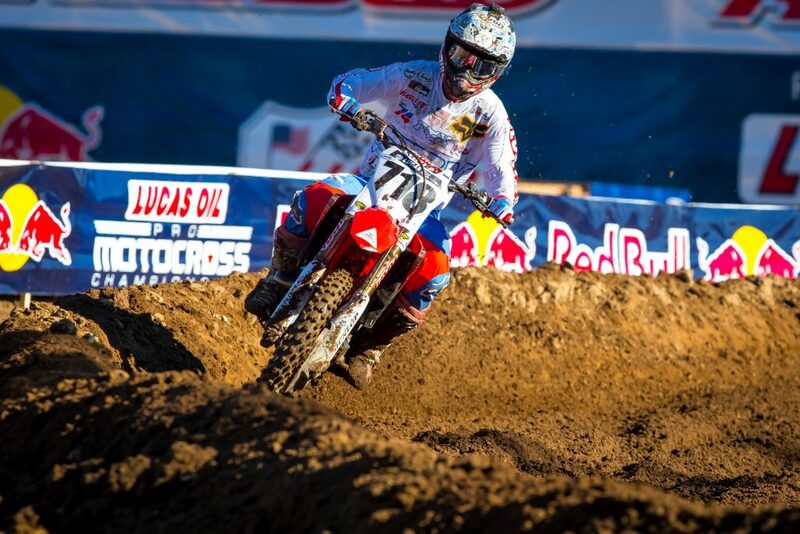 The 450 class had three, Phil Nicoletti, Ken Roczen, Marvin Musquin. Picking the right All Stars has been difficult this year! The 450 class had 16 riders score above 50 points this week, up from 8 last week. Many of these riders were low owned; nine of them had single digit percentage ownership. In the 250’s we had 14 riders score more than 50, up from 11 last week. Once again many of them were low owned, nine of them had single digit ownership percentage. As to my team, I scored 406 points for 477th overall for the week. I had a 250 team of Cooper, Savatgy, Sipes, and Tennant and a 450 team of Musquin, Brandon Scharer, Heath Harrison and Jeremy Smith. Of all of these riders only Jeremy Smith really hurt me as he finished with only three points. I should’ve picked Nichols instead; I probably would have been in the top 100 for the week had I done so. As to the overall winning team this week, Roogs did a nice job of mixing chalk and contrarian plays. He had Dakota Alix, Justin Cooper, Hayden Mellross and Ryan Sipes on the 250’s and Jeremy Hand, Jake Nichols, Travis Sewell and Phil Nicoletti on 450s. Of note, three of his low owned riders were Midwest guys, seems like he did some homework here. Great play by Roogs! That’s it for this week. If you are on Twitter and want to send me your winning team, please do so, @msweeneyphoto. I would love to give you a mention here and talk about how you got to the top spot. Thanks for reading and we will see you on the leaderboard!